Filed with the Chamber of Commerce for Zeeland, in Middelburg. Chamber of Commerce Trade Registration number 140776220000. These General Terms and Conditions of Sale and Delivery apply to all agreements concluded after 24 September 2007. Separate copies are available from P&T CHOCOLATES AND PRESENTS BV, Mariastraat 44, NL 4506 AE Cadzand. Download your PDF version below this page. User: P&T Chocolate and Presents BV is the User of these General Terms and Conditions. Buyer: The party other than the User, acting in the capacity of his or her profession or trade, to whom the User sells and delivers goods, and to whom the User renders services if such is the case. Agreement: The agreement between the User and the Buyer. Unless expressly agreed otherwise, these Terms and Conditions shall apply to all offers, purchase and sales agreements and the delivery of all goods and services marketed and/or supplied by the User. By placing an order the Buyer accepts the applicability of these Terms and Conditions. Any general or specific terms of purchase applied by the Buyer will not be accepted by the User and will not apply to any offers, agreements and/or deliveries governed by these Terms and Conditions unless and until the intended terms of purchase are expressly specified in writing by the User (and, should the User be a legal person, by an administrator thereof) as being applicable to any specific transaction. Any such acceptance of the applicability of such terms of purchase will in no way render said terms of purchase applicable to any other transactions between the Buyer and the User nor constitute any recognition of said terms. If and insofar as an offer and/or agreement between the Buyer and the User contains any provisions which in any way deviate from offers and/or agreements governed by these Terms and Conditions without the applicability of these Terms and Conditions being expressly excluded, the remaining provisions of these Terms and Conditions will remain in full force and effect. All information provided to the User directly or via Internet will be recorded on a computer file owned by the User. Your details will be treated in confidence and not disclosed to any third parties. At your express request we shall destroy your file details. The User is the rightful owner of its internet site and of all the information on said site, none of which may be used by any third party without express prior written consent. Any offer made by the User will, in principle, be free of engagement unless a term of acceptance is expressly specified in or in relation to said offer. Unless otherwise agreed, all prices in such offers will be in euros and exclusive of VAT and any other government taxes and exclusive of any costs to be incurred in respect of the agreement including postage and administration costs. Should an order be placed without a specific price being expressly agreed, said order will be charged at the price applicable at the time the order is executed notwithstanding any earlier offer or price previously charged. All deliveries will be made subject to the condition “while stocks last”. In the event that the ordered goods are no longer available or the required quantity is not or no longer available the User will inform you of such immediately and where possible suggest alternatives. The specified terms of delivery will always be approximate and will never constitute an absolute deadline unless agreed otherwise by the parties. Exceeding any such terms will not oblige the User to compensate the Buyer in any way whatsoever nor give the Buyer the right to dissolve the Agreement except in the case of deliberate act or omission or similar gross carelessness on the part of the User. If and insofar as necessary for the correct fulfilment of the Agreement, the User will be entitled to have third parties execute the work involved. The Buyer will provide the User in good time with any information the User specifies as being required for the fulfilment of the order or in respect of which the Buyer may reasonably be expected to understand that it is required for such. If the information necessary for the fulfilment of the Agreement is not submitted to the User in good time, the User will be entitled to suspend the fulfilment of the order and/or to charge to the Buyer, at the normal rates, any costs ensuing from the delay. Delivery will be ex works / shop / warehouse of the User. The Buyer is obliged to take delivery of the goods at the time the User delivers them or has them delivered to the Buyer or at such time as they are made available to the Buyer in accordance with the Agreement. Should the Buyer refuse to take delivery of the goods or neglect to provide information or instructions required in respect of delivery, the User will be entitled to put the goods into storage for the account and at the risk of the Buyer. Transportation costs in respect of orders at a purchase price of less than € 750 excluding VAT will be for the account of the Buyer. Transportation costs in respect of orders at a purchase price exceeding € 750 excluding VAT will be for the account of the User, unless the consignment concerned is so large (at the discretion of the User) or an international consignment, the costs of which will then be for the account of the Buyer. The risk in respect of the goods will pass to the Buyer at the time the goods are legally and/or physically delivered to the Buyer and thus placed under the control of the Buyer or a third party assigned by the Buyer. Delayed delivery, provided it remains within reasonable limits, will in no way whatsoever rise to any right to compensation or rescission of the contract. The User will notify the Buyer immediately of any expected delay. The Buyer will, in all reasonableness, agree to any such delayed delivery if the User has demonstrated that the User cannot reasonably be bound to make delivery at the time agreed. The principles of reasonableness shall apply. Should the agreement nevertheless stipulate that the delivery be made at a specified time and the Buyer has notified the User in writing that such term of delivery must not be exceeded in any circumstances, and should the agreed term pass without delivery being made, the Buyer shall be entitled to rescind the purchase agreement without legal intervention, without prejudice to the Buyer’s right to compensation, except in cases of Force Majeure on the part of the User. The Buyer is obliged to immediately inform the User of such in writing. Unless expressly agreed otherwise, agreed delivery dates will be target dates. Force Majeure is understood to mean: any circumstances which the User could not take into account at the time the Agreement was concluded and as a result of which the User cannot reasonably be expected to fulfil the Agreement as normal, such as: war or threat of war, regardless of whether the Netherlands is directly involved or not, full or partial mobilization, martial law, riot, sabotage, flooding, international embargos, fire or other forms of destruction in factories or warehouses, and lock-outs. In any event of Force Majeure the User will be entitled to rescind the Agreement without being held to pay any form of compensation whatsoever. The User is entitled to demand full or partial payment of the invoice amount in advance or to demand security from the Buyer before making delivery or subsequent delivery. Should the Buyer be in default of such advance payment or security, after the User has served a formal notice of default and after the Buyer has been given the opportunity to fulfil the said obligation, the User’s obligation to deliver will lapse, without prejudice to the User’s right to compensation from the Buyer of all damages, costs and interest. All goods supplied will remain the exclusive property of the User until such time as all amounts due – in respect of the delivery at hand or any previous deliveries – have been paid in full discharge by the Buyer to the User. The goods may be reclaimed by the User immediately, should the Buyer not have fulfilled his obligations or should the User have good reason to believe that the Buyer will not fulfil his obligations. Any and all costs incurred to reclaim such goods will be charged to the Buyer. The reclaimed goods will be credited to the Buyer on the basis of their value at the time the said goods are reclaimed. The Buyer must not give or pledge any unpaid or partially paid goods to a third party as security, in any way whatsoever, without an express written mandate from the User to do so. Complaints, of any nature whatsoever, will not suspend the Buyer’s obligation to pay. Any complaints must be reported to the User in writing only and stating the Buyer’s reasons, within the period laid down in this section. Any complaints in respect of shortages of delivery, wrong sort, incorrect quantities, or in respect of packaging and the price charged, must be reported within 14 days after the delivery of the goods concerned and on submission of the relevant documents. Complaints concerning the quality of the goods supplied must be reported within 14 days of the Buyer identifying the defect, and always within six months of delivery of the goods. The onus of proof that the goods to which the complaint relates are the same as those delivered by the User lies with the Buyer. The User shall compensate and replace as quickly as reasonably possible any goods broken or lost during transit. The Buyer must report the nature and scale of the complaint upon receipt of the goods. Complaints received later will not be accepted unless the Buyer can demonstrate that he had not been able to respond immediately upon receipt of the goods. 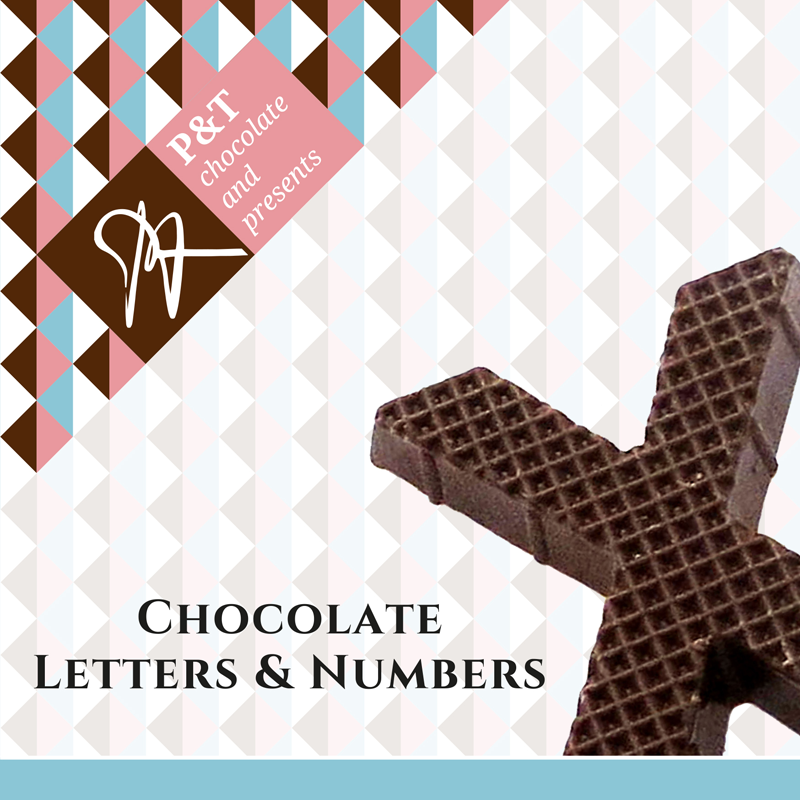 Complaints can be reported in writing, by email to info@ptchocolatepresents.com, or by telephone +31 (0)117 392017 and shall be taken up within 48 hours. Unless any condition stipulates otherwise, the Buyer will be obliged to pay the invoices within 21 days with no deductions. Settlement against any amounts due from the User is excluded. If the Buyer does not make timely payment of the invoice amount, interest will be payable by the Buyer to the User of 1¼ % of the invoice amount for each month or part thereof with which the term of payment is exceeded. Only payments made in the manner specified by the User will be valid. Before the User may charge any collection costs to the Buyer, the User must have demanded payment in writing, allowing a period of 8 days during which payment can as yet be made. Should the Buyer remain in default of payment despite such notice, the User will be entitled to enforce payment by legal process without any further notice of default. Failure to make timely payment will render the entire debt, including any part thereof not yet due, payable on demand. In addition to the amount due the User will also be entitled to claim all costs incurred as a result of the Buyer’s non-payment, including judicial and extrajudicial collection costs, costs of legal aid, bailiff’s fees, legal costs, etc. Extrajudicial collection costs will be payable by the Buyer in any case that the User has engaged the services of a third party to enforce payment. These charges will be 12% of the invoice amount, plus the interest due as stipulated in subsection 3 of this section, with a minimum of €12.50. Should the Buyer pay the amount due plus the interest due plus the extrajudicial collection costs within 14 days of the third party engaged by the User to enforce payment sending him the written demand, then the extrajudicial collection costs will be 5% of the amount due, such amount being the invoice amount, plus the interest due as stipulated in subsection 3 of this section, with a minimum of €12.50. Should the User initiate bankruptcy proceedings against the Buyer, the costs of such bankruptcy petition will be payable by the Buyer in addition to the aforementioned amount due plus the judicial and/or extrajudicial costs incurred in connection with such. Unless expressly agreed otherwise, any and all disputes (including summary proceedings and attachment order) which may arise between the parties in respect of these General Terms and Conditions of Sale and Purchase or any further agreements will be brought exclusively before the District Court in Middelburg, insofar as such disputes fall within the competence of a court and no other court is appointed as competent under the provisions of mandatory law. All disputes will be settled according to Dutch law.